Being solar energy, these terawatt-hours came in the form of peak-load power, covering anywhere from 10 to 50 percent of peak demand everyday. 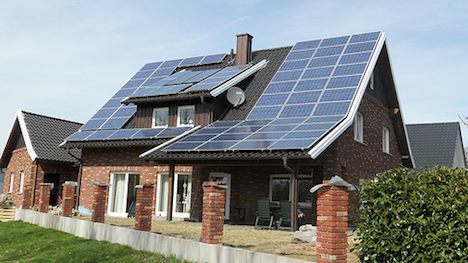 This record also indicates a 50 percent increase over the amount of solar power produced during the first half of 2011, a miraculous feat in such a short period of time. About 1.2 million mini solar “power plants” are owned by businesses and households around Germany, producing record amounts of energy just from the sunshine. On top of this, new systems are still being installed at a rapid rate. Between January and April of this year, 73,756 solar power systems were installed, with a combined capacity of 2,328 megawatts. This puts the country’s cumulative installed solar power capacity at about 28 gigawatts. With wind power and biomass leading the way, solar energy is quickly headed toward the spot as the world’s third largest source of renewable electricity, and it’s becoming a lot less expensive. Are you considering incorporated solar energy into your home or business electricity use yet?